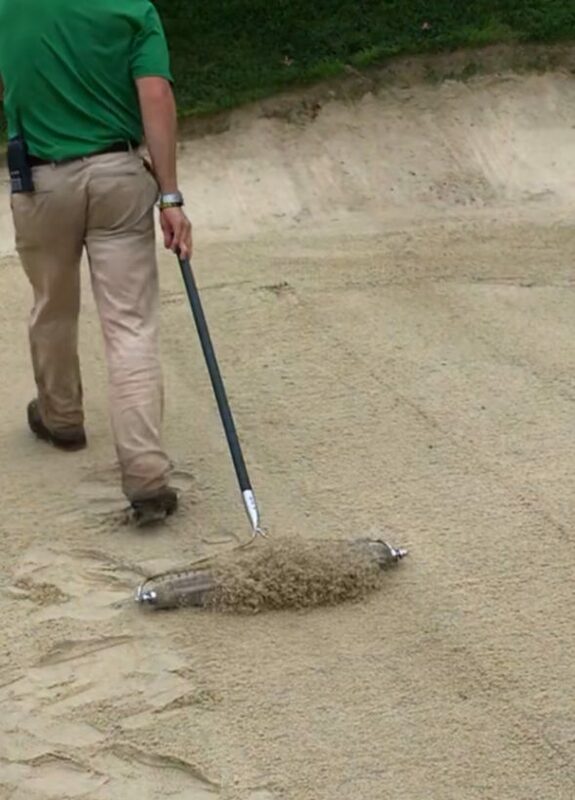 The Bunker Wizard™ was specifically designed for smoothing sand in golf course bunkers. 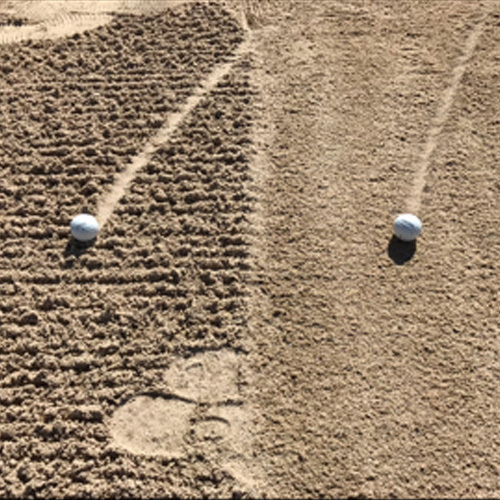 It’s lightweight, easy to use, and eliminates footprints in one simple pass leaving the sand with a smooth surface that dramatically improves the look, play-ability, and uniformity without rake marks whatsoever! 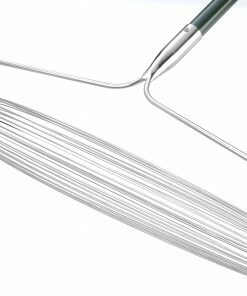 The Spring Temper Stainless Steel wires of the Bunker Wizard™ distort and spring back as the wire cage is rolled along the sand flinging the sand up into the air and then when the sand lands, it lands flat and smooth. The Bunker Wizard™ creates a rooster-tail of sand behind it as it is either pushed, pulled or pushed and pulled in a back and forth motion. 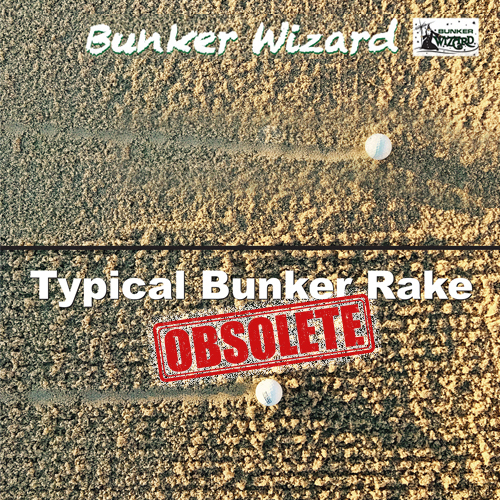 The Bunker Wizard™ eliminates the furrows and troughs that are all so common a nuisance left by a bunker rake, even the ones with a smooth side to them. 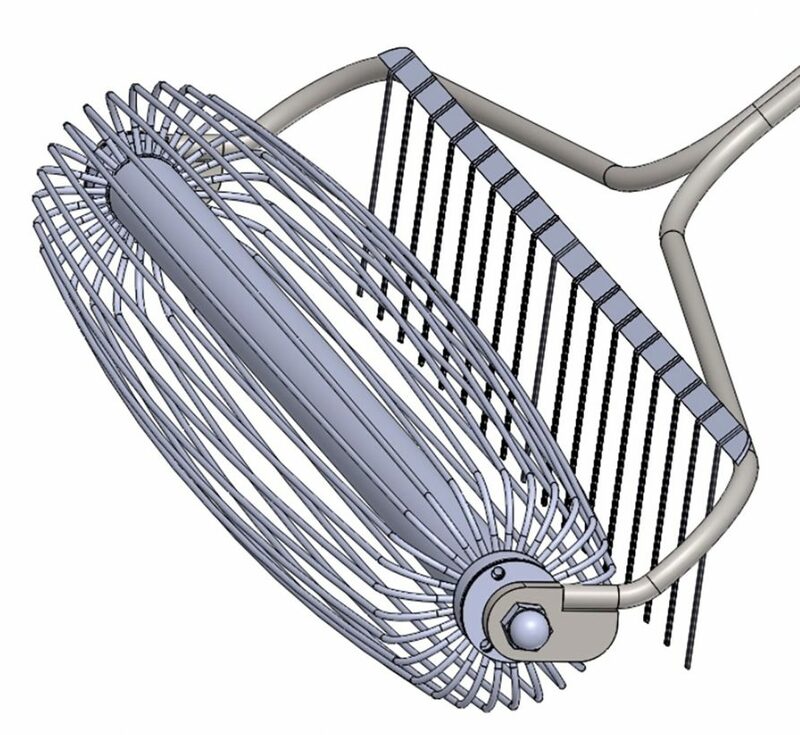 When a golf ball flies or rolls into a bunker that has been smoothed with the Bunker Wizard™, the ball sits up in a perfect lie vs in a furrow left by a standard bunker rake. Rakes were designed for leaves not sand! 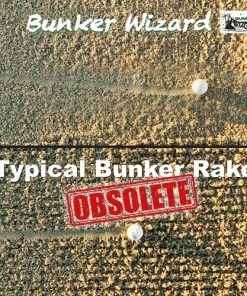 The Bunker Wizard™ was specifically designed for sand and to be the innovative solution for the sand in golf course bunkers obsoleting the bunker rake altogether! 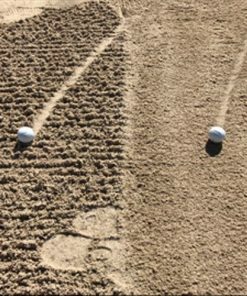 The Bunker Wizard is available in two On-course models for golfers to use for smoothing their footprints. There is a 17″wide and a 21 “wide On-course Bunker Wizard. 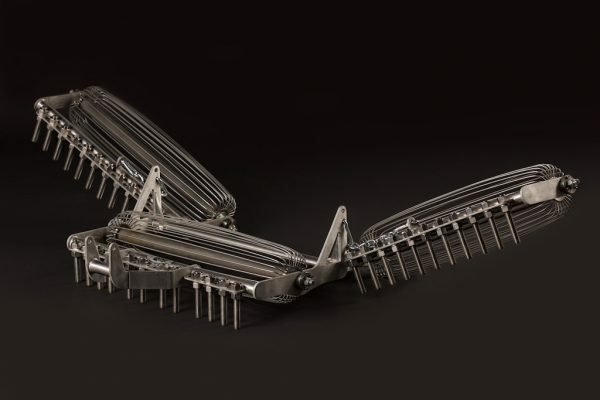 The 24” wide Maintenance Bunker Wizard features a set of spring steel tines in front of the roller to scarify the most compacted or wet sand allowing the roller to follow smoothing the sand leaving no blemish whatsoever. All a maintenance staff worker has to do is simply walk ahead of the Maintenance Bunker Wizard through the bunker and the Bunker Wizard does all the work. 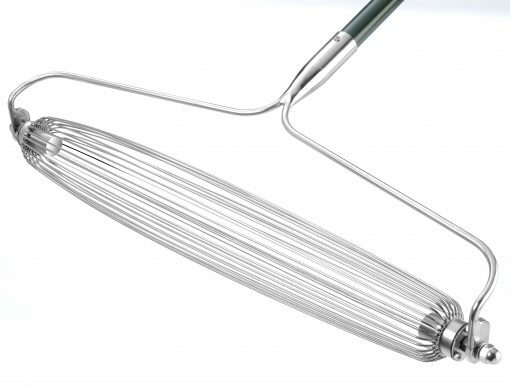 The stainless steel construction of the Bunker Wizard ensures it will NOT rust and will last for years. The 2-year warranty on the stainless steel cage goes well beyond any competitor’s warranty. You can squash the wires with your hands, step on the wires, or even drive a cart over the wires and they’ll spring back to their original shape and form. There is a Tractor Bunker Wizard™ designed to be pulled behind a John Deere 1200, a Toro Sand Pro, a Jacobsen GMII, or any other small tractor to smooth the sand in the mornings before play. Coming Soon, July 1st, 2019! Momentus Sports is the industry leader in game improvement. The mission of Momentus Sports is to assist sports enthusiasts in making immediate and long-lasting improvement. Be the first to know of New Products and Special Deals.